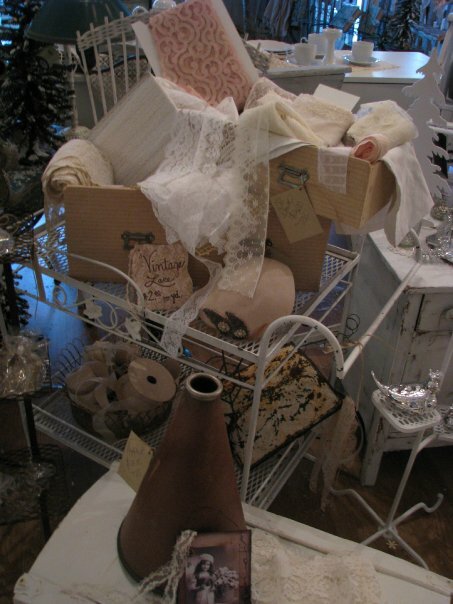 There is always a charming seasonal display as you walk in the door! 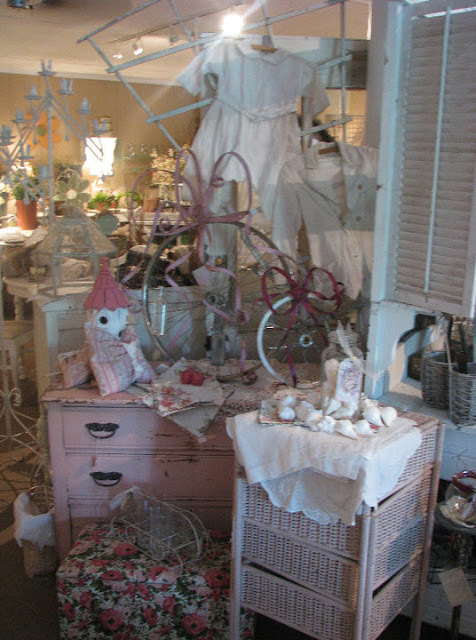 Through The Garden Gate is a shabby chic, French Flea Market inspired wonderland of truly romantic decor. Pam's shop is 3,000 square feet, plus there is a 20,000 square foot antiques mall attached! Shopping heaven! 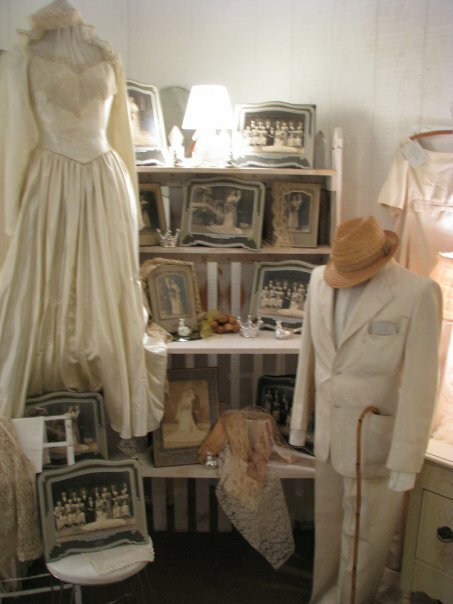 It is located right next door to Hanover High School on Route 301 in Mechanicsville, VA.
Vintage clothing and photos. 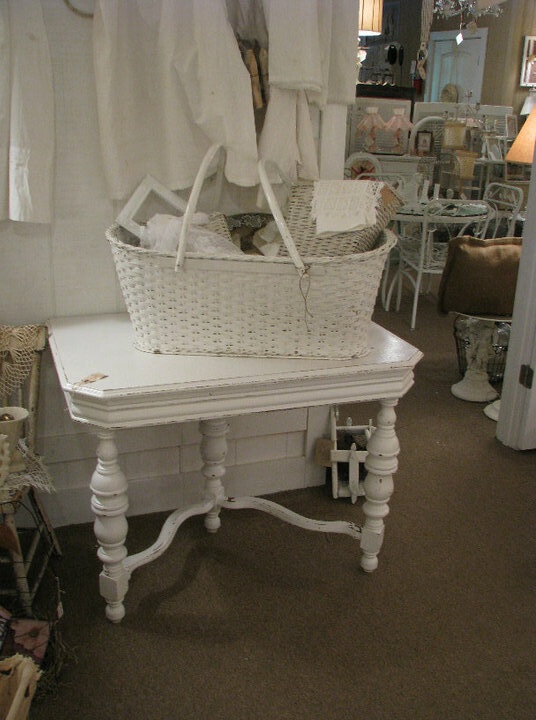 . .
Vintage lace. . . .
Chippy white painted furniture. 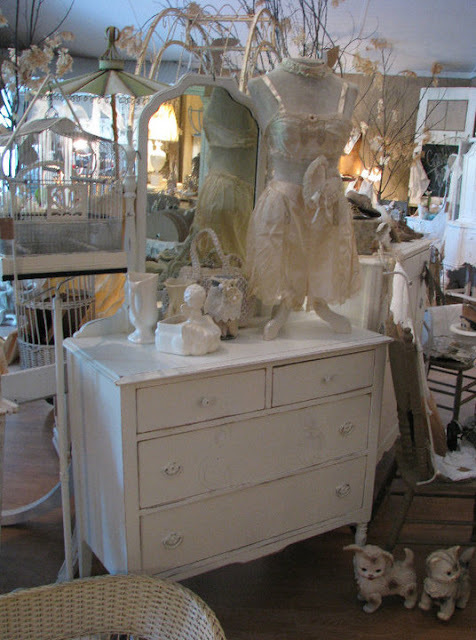 . .
Seemingly effortless very French Chic decor! 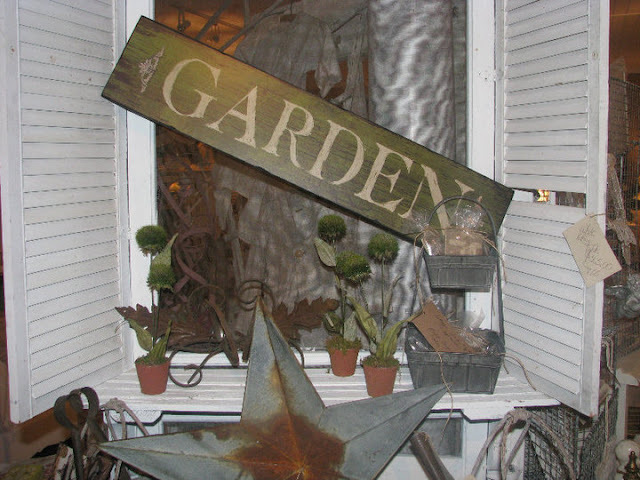 Beautiful garden-inspired items. 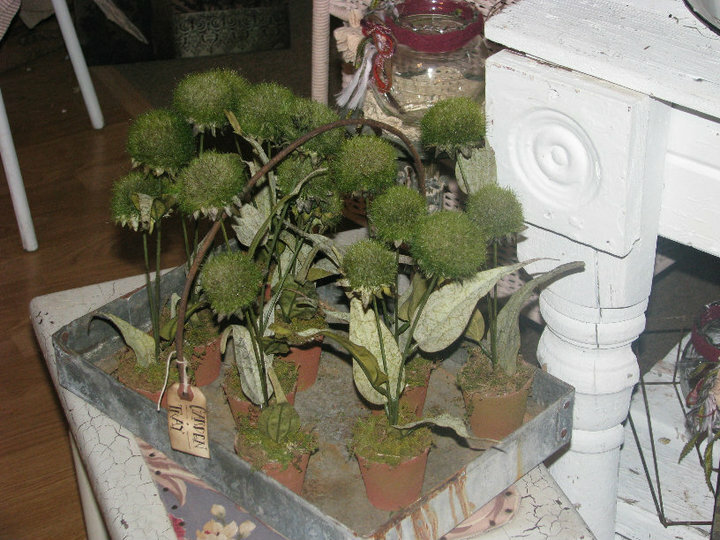 . .
Lovely, crusty, items to display in your garden. 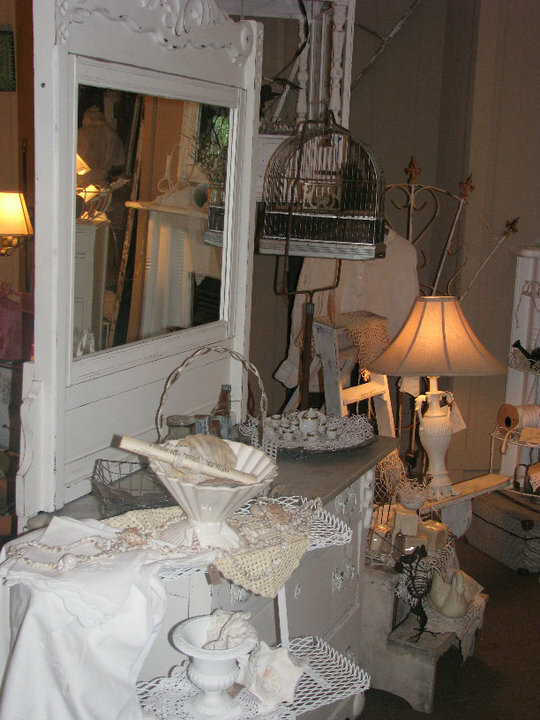 . .
Beautiful one-of-a-kind hand made chandeliers, lamps, and more! 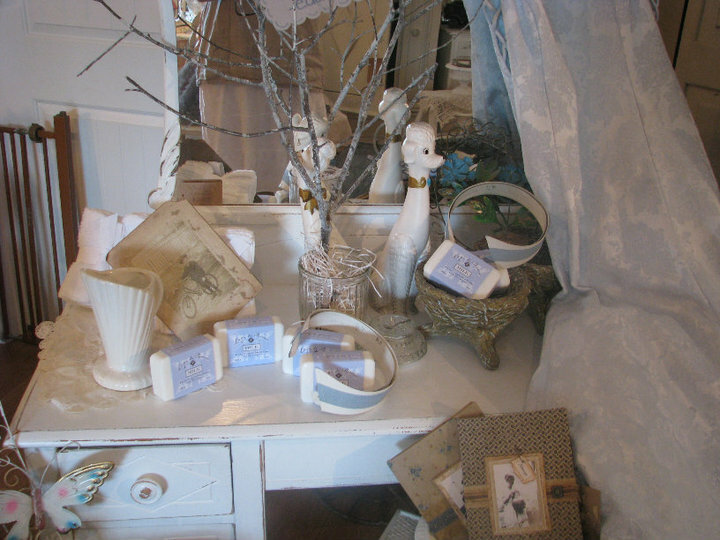 Beautiful vignettes everywhere you turn! 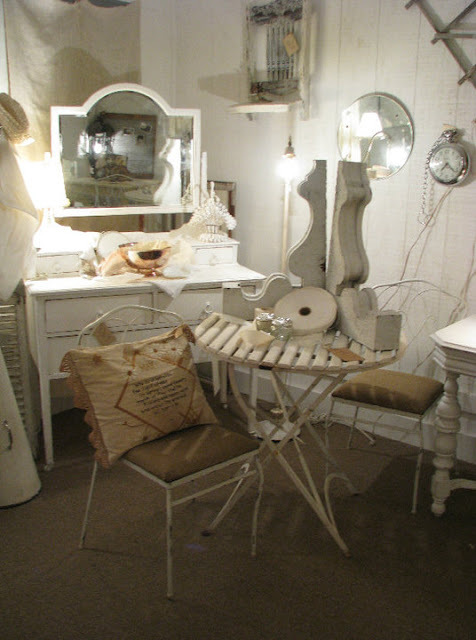 This bistro set makes me want to sit and have some coffee! I love the cleaver display of the old baby carriage wheels. 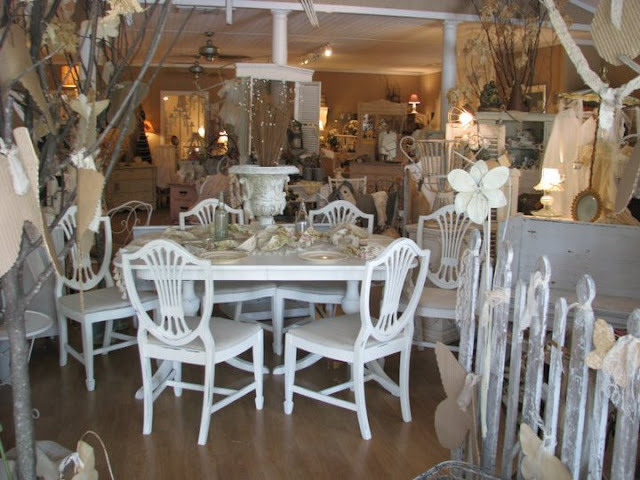 I would love to have this dining room set! Lovely. 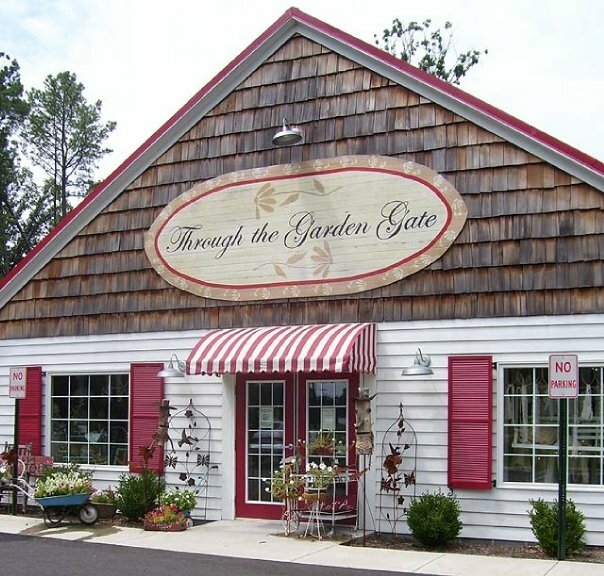 Through The Garden Gate is one of my go-to places for great deals and above all--inspiration! I hope these photos are as inspiring to you as me! 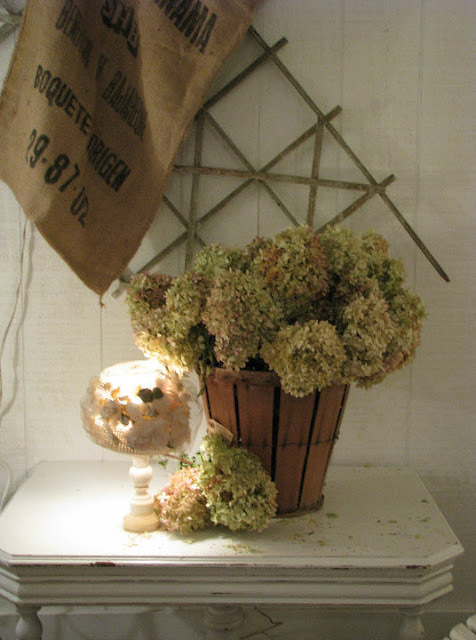 So glad you could stop by my blog! I'll be linking to a bunch of places you can find in my sidebars!